Humming birds are elegant creatures. This miniature bird is no less elegant. 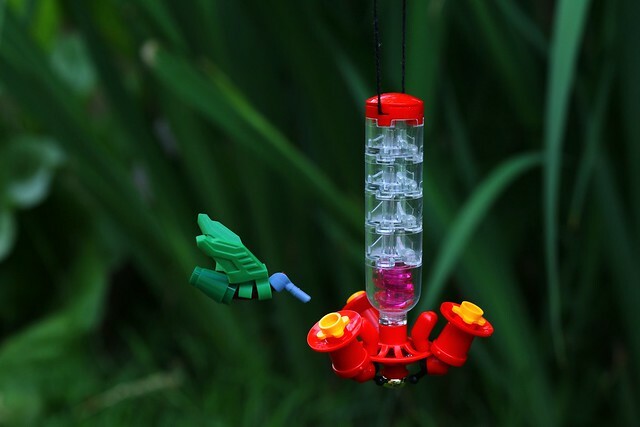 ForlornEmpire created this nice humming bird feeder that doesn't appear to be LEGO, unless you take a bit of a closer look. Not only is the design nicely executed, but the photo itself is also done well in order to showcase this creation. Nicely done, all around!